When most of us picture chefs, it’s not a beaker and Bunsen burner type situation we imagine. Though their process of developing recipes is not that different than how a scientist would experiment in a lab, their chef coats could be considered a more fashionable lab coat, and who remembers the delightful art of wafting from chemistry class? 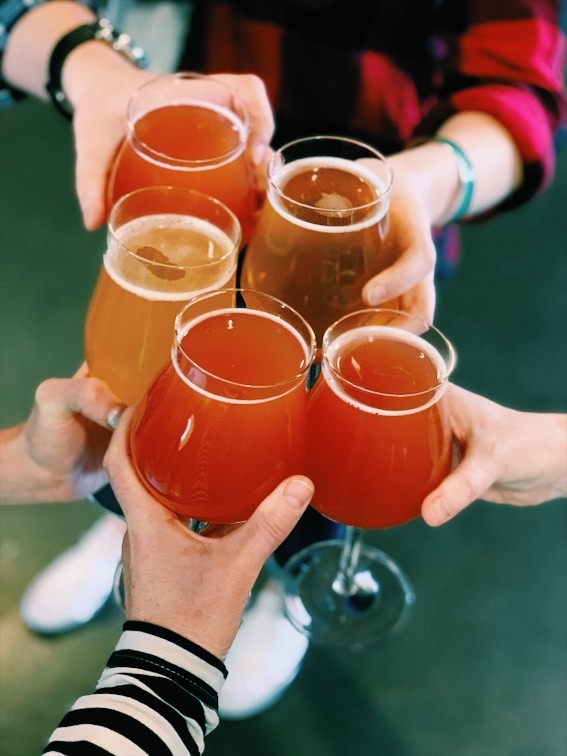 The science of taste is as much a part of our industry as the selling of it, and last week on a JK Food Group field trip to Jack’s Abby and the Springdale Barrel Room, we explored the scientific process of craft beer and all they do to make it taste so good. In case you’ve never tried your hand at baking bread, cinnamon rolls, pizza dough, or beer, you might not know, but yeast is a science experiment all to itself. The chemical reaction that happens when yeast meets sugar makes some of the most drool worthy things on the planet. Like most scientific creations, Lager was born as a happy accident when people up high in the Alps decided to store large casks of beer in cold caves. They discovered that the low temperature makes the yeast do its job a lot slower, and the result of this has since been known as lager, and is the expert practice of Jack’s Abby. Tasting notes are written in chalk, right on the barrel. 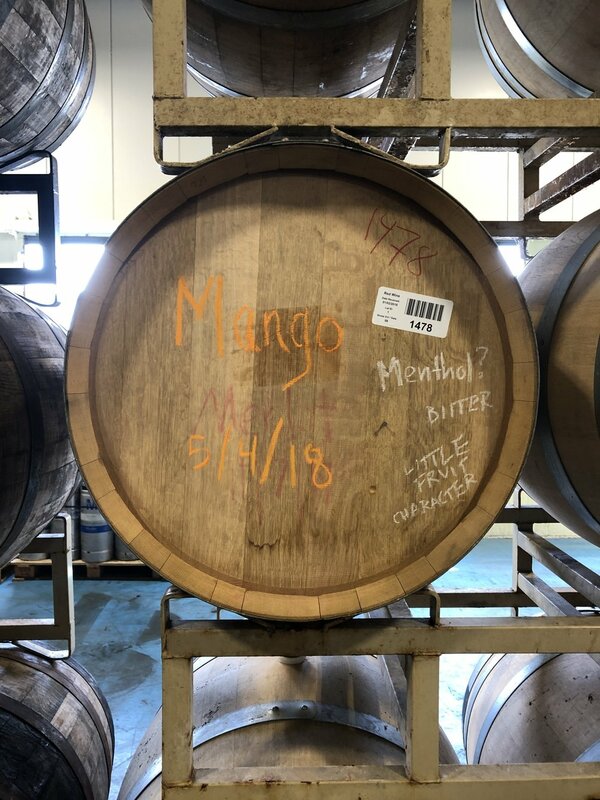 “The production of beer, the water chemistry, and how sugars are going to break down based on the temperature that you’re mashing it at, is over my head,” he says, but as we tour the barrel room he explains much more about the science than he lets on. He explains that the bacteria’s and yeast strains that are used, will break down bigger sugars further than a brewer’s yeast would, and that as they keep eating away at the starches it’ll create the tart funky flavors that they want in a sour beer. Then he gets to the fun stuff, the taste testing. 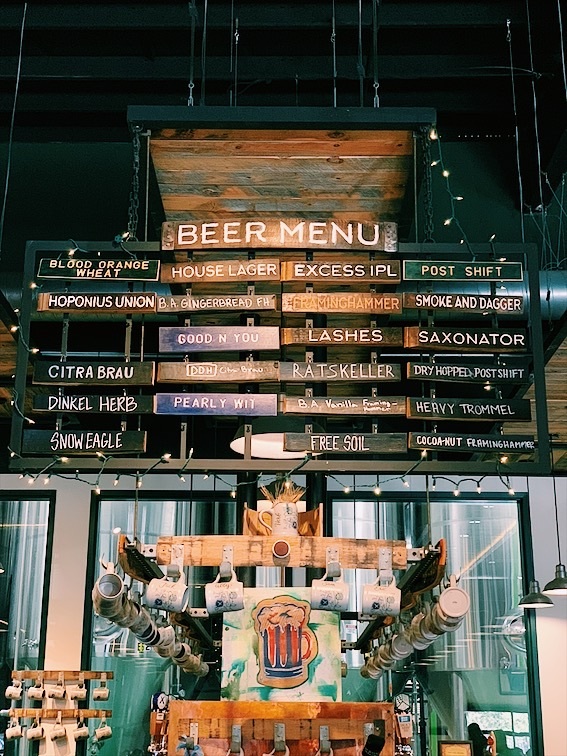 “There is beer in barrels here from more than 2 years ago and it’s our job to be able to taste this beer, and say, not just what does it taste like now. Does it taste good, does it taste bad, are there off flavors? But what is it going to taste like in 2 months, in 6 months, in 8 months, in 3 years? Are these flavors going to be reabsorbed? Is it going in the direction we want it to go? So, it’s a lot of predicting and then blending barrels together. Ruby Bluesday is a beer that we do, initially it was a brown sour in a bourbon barrel with rhubarb and a golden sour with blueberries in wine barrels. The blueberry beer had really nice fruit character, really nice funkiness, no acidity. The rhubarb beer, super acidic, nice fruit character but not what we were hoping for, not a stand-alone beer. The blend of the two in a blending session, we got it somewhere that we really enjoyed it. Now we make Ruby Bluesday, and it’s one of our best-selling beers. It’s a fascinating thing, being at the whim of nature and all of its variables, and still putting out a quality product day after day, year after year. It is why we are so proud to support Jack’s Abby and Springdale, and share their story with our staff and beyond. It takes a lot of grit and sweat and more science than most people realize to stay so consistently tasty.